It was a literal lightbulb moment that inspired the husband-and-wife Belgian artists Hannes Van Severen and Fien Muller to start making furniture. In 2010, the couple moved into an old house in a village outside Ghent and, unable to find electric wiring in the ceiling, decided to build a metal-framed table with a long-necked lamp growing from one of its legs. 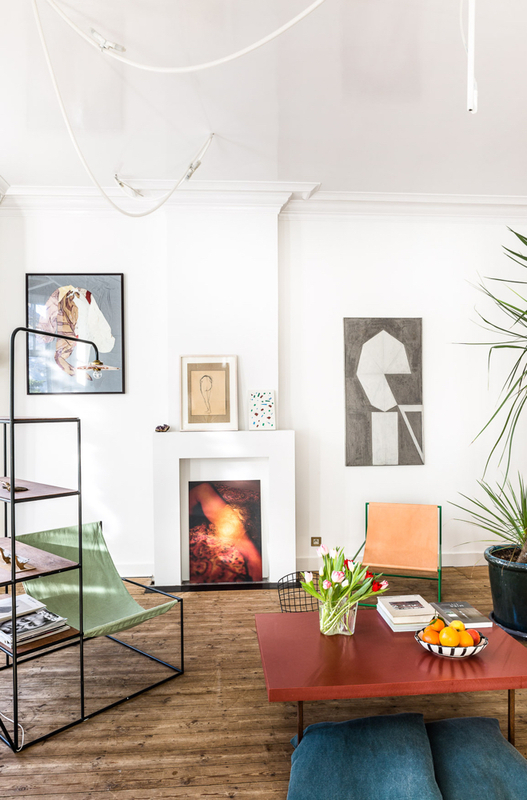 The result became the prototype for their first collection; soon they were working on more pieces, like a conjoined steel-and-leather chair and a white lacquered rack with colorful marble shelves. 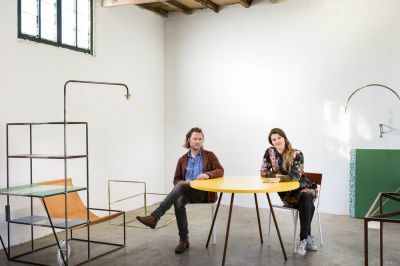 The couple’s work is about innovation — blurring the lines between fantasy and function, art and design — but it also represents the union of their respective backgrounds. Muller grew up in an old manor, ‘‘every room another color, and full of paintings,’’ she says, while Van Severen spent a ‘‘sober’’ and transitory childhood shuttling between the home of his father, the legendary contemporary designer Maarten Van Severen, and his grandfather, the painter Dan Van Severen, who, he notes, was ‘‘constantly reducing things. In the end he was just making lines.’’ Their forthcoming collection will consist of shelves that double as mirrors and triple as room dividers and benches. Made of colorful Formica slabs and resembling three-dimensional Mondrian paintings, they’re as practical as they are provocatively beautiful.